One of the lightest ultrabook available today, has made its way to India. Weighing less than 1kg, the 14-inch LG Gram laptop is now available in India. The laptop will be available in two variants and both will be powered by an Intel Core i5 6th gen processor. The difference lies in the RAM and storage capacities. It is available in 4GB and 8GB RAM variants with 128GB and 256GB of SSD based storage respectively. 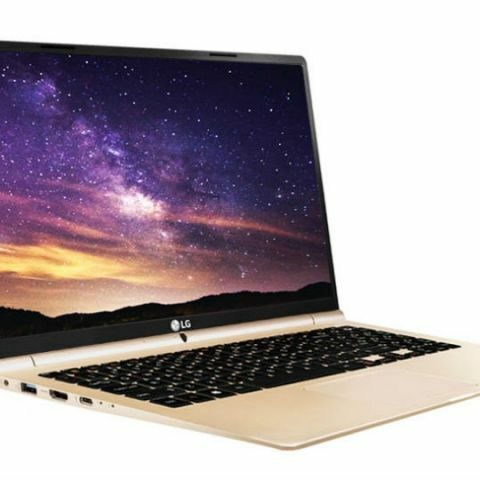 It has a metal alloy body construction and LG will be providing 3 year onsite warranty on the laptop. It is available via Paytm in the initial phase and will be available later via all LG and partner stores. With computers becoming an indispensable part of our professional as well as personal lives, LG Electronics is all set to bring its very successful Gram PC to India. The Gram PC was first unveiled during CES 2016 and since then has garnered rave reviews from the media and tech enthusiasts worldwide. In India, the Gram PC is exclusively available on Paytm for the first initial phase from May 15, 2016 post which it will be available at all LG brand stores and IT Multi-brand outlets. LG Gram PC is the company’s newest portable PC and is especially designed for maximum productivity and entertainment for today’s demanding power users. Despite its large 14-inch screen, the LG gram 14 (model 14Z960) is barely larger than a conventional 13-inch laptop. Despite being one the lightest Laptop in its category, the LG gram 14 is built to be durable while maintaining a weight of just 980 grams, making this lightweight laptop the perfect choice for busy office workers or students with busy schedules. With a 6th Gen Intel Core processors and Windows 10, the LG gram 14 prioritizes both productivity and mobility. how much GIGABYTE laptops cost in India ?